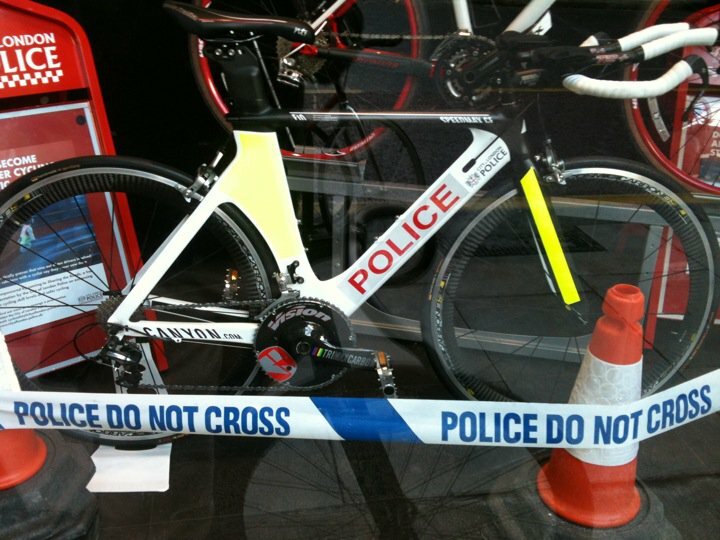 Spotted at 5th Floors weblog. A couple of nicely shot videos by Eyeball Moving Image who are based in NZ…. Japanese bag maker SÄG gets together with skater and artist Mark Gonzales on a messenger bag. 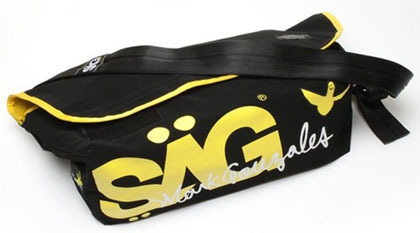 The bag comes in black canvas with yellow and white graphic elements, matching the yellow lining. The bag comes with a small matching pouch, which also features graphics by the artist. Source. 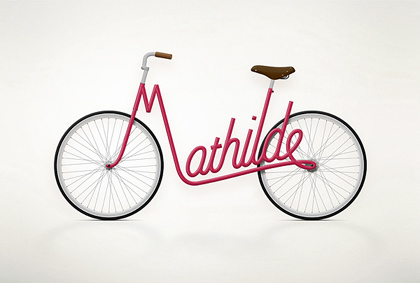 Swiss art director Juri Zaech came up with a witty and original series of bikes. 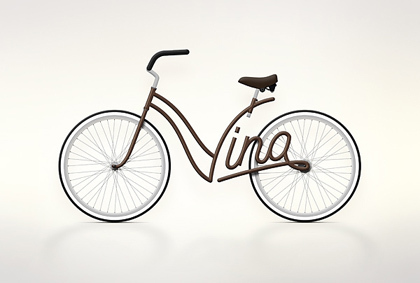 Their frames are created in form of elegant inscriptions of names of their owners. 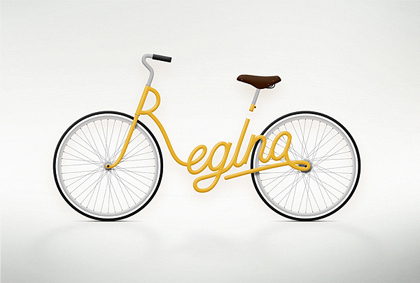 Series is called “Write a bike”. Source. 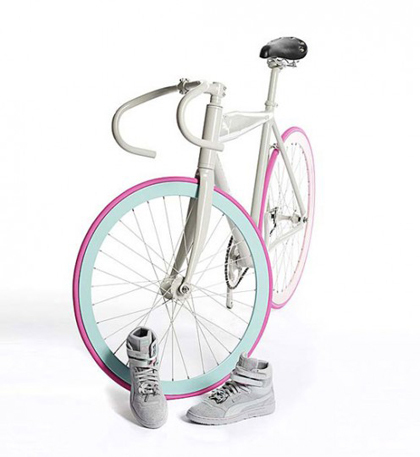 Trainspotter and Puma come together in holy matrimony to celebrate the launch of their new, “Number 5″ Bicycle and “SkyHi II” sneaker. Here we have a collaboration guaranteed to give you speed, stealth, and style. 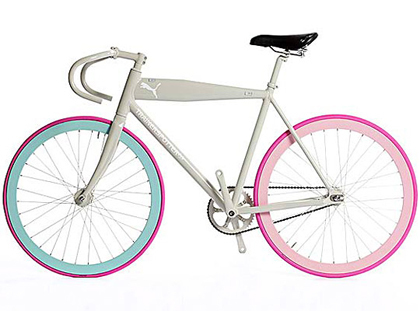 The “Number 5″ bicycle features an Alloy frame (designed to geometrically hold the body forward for aggressive bikers) and all white retro Puma sneakers. Both draw inspiration from 80’s TV series, ‘Miami Vice’. Format. 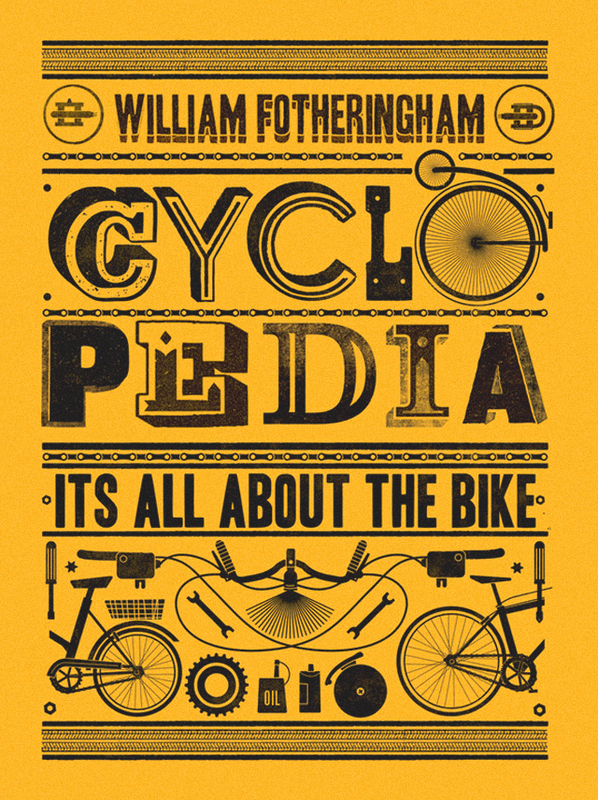 Nice print by the guys at Telegramme.